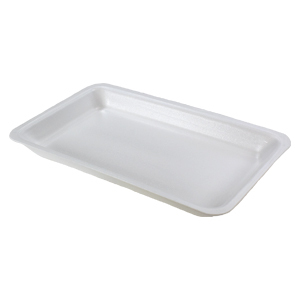 Our Processor grade supermarket foam food trays are designed to handle automated wrapping equipment with ease. 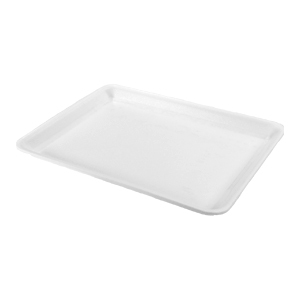 Sleek designs and constructed of the strongest premium foam, our supermarket food and meat trays will keep your line running without interruption. 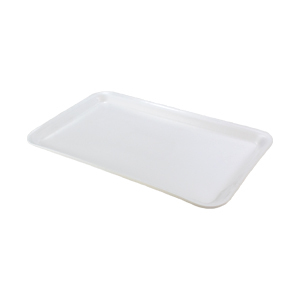 Available in the most popular sizes and colors, we are sure to have the foodservice meat tray to fit your needs. 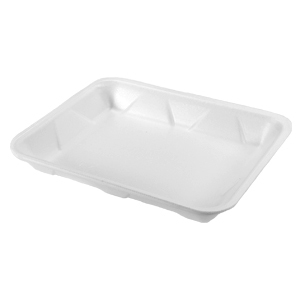 Contact us if you have further questions. 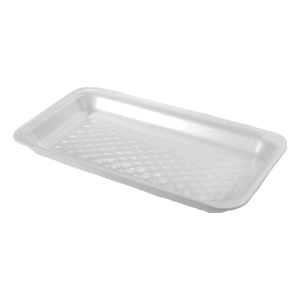 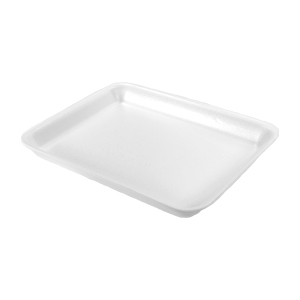 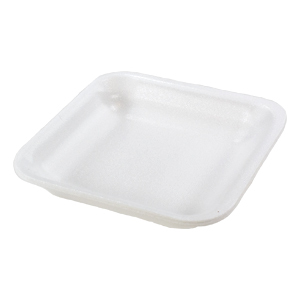 Check out our standard supermarket foam food trays for more options. 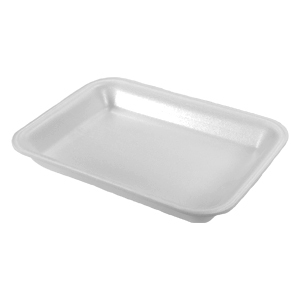 Length: 16.625" Width: 11.375" Height: 33.000"
Length: 12.500" Width: 12.500" Height: 40.500"
Length: 17.750" Width: 13.250" Height: 39.500"
Length: 18.750" Width: 14.750" Height: 35.000"
Length: 19.000" Width: 14.250" Height: 29.000"
Length: 21.000" Width: 16.500" Height: 32.000"
Length: 18.500" Width: 12.500" Height: 34.000"
Length: 21.500" Width: 11.500" Height: 35.000"
Dim: 11.4375" x 7" x 1.25"
Length: 24.000" Width: 14.000" Height: 37.000"
Length: 14.688" Width: 12.438" Height: 30.000"